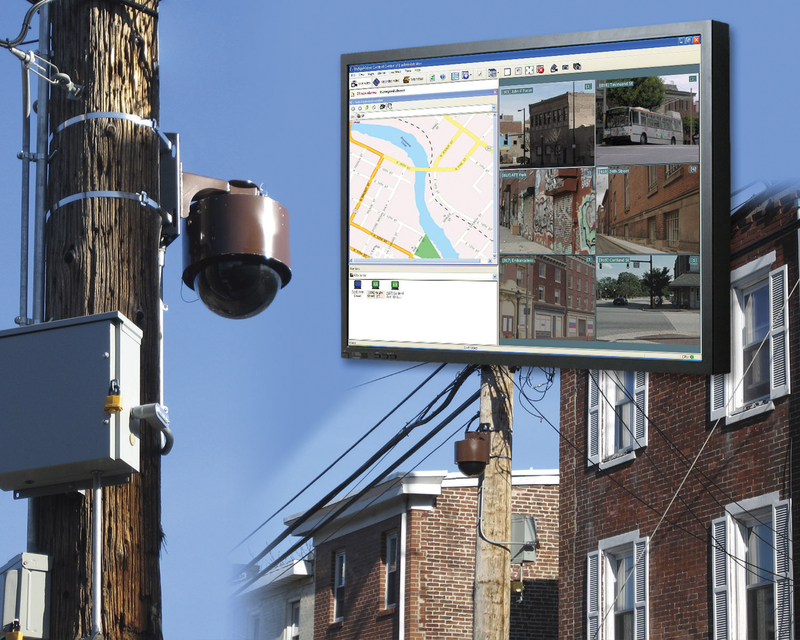 Residents in downtown Wilmington, DE, U.S.A., fight violent crime through an IP-based CCTV solution. IndigoVision’s IP video technology is helping local residents in downtown <?xml:namespace prefix = st1 ns = "urn:schemas-microsoft-com:office:smarttags" />Wilmington, Delaware, the U.S.A., fight violent crime through an innovative CCTV solution. The area around the WCCNPAC Community Center and Adams 4 Shopping Center is benefiting from a remote surveillance solution that has been implemented using standard Internet communications. Video feeds from the remote cameras are digitally compressed and transmitted via cable modems across the internet to the security control room located several blocks away. ‘Control Center’, IndigoVision’s video and alarm management software, allows the operators in the control room to view live and recorded video from any of the remote cameras. A live video feed is also provided to the local police and high-quality evidential video can be exported from ‘Control Center’ to DVD to aid police prosecutions. A stand-alone IndigoVision Networked Video Recorder (NVR) is installed locally together with three bullet-resistant PTZ domes at each of the two sites. Each NVR provides storage for up to 30 days of video. The security control room is operated by Downtown Visions, who specialize in providing co-operative surveillance services to businesses and communities. The system was designed and installed by IndigoVision’s local integrator Security Services & Technologies (SST) in partnership with independent security consultants, Morris Access Management. The scalability of the IP video solution means that other local areas can be cost effectively added to the remote monitoring scheme. “IndigoVision was chosen for its ability to deliver high-quality digital video with minimum bandwidth requirements,” said Christopher Cundey, Senior Project Manager at SST. “Getting real-time CCTV video from the remote sites via the Internet was far more cost-effective then hard wiring several blocks with fiber.” Each camera is connected to an IndigoVision 8000 transmitter/receiver module. The 8000 converts the camera signal to high-quality digital video for transmission over a 640Kbps Internet connection. IndigoVision’s compression technology ensures minimum bandwidth usage and helps maximize the available NVR storage. The amount of digital video transmitted and recorded is further reduced with the use of Activity Controlled Framerate (ACF), a built-in function within the 8000 hardware. ACF reduces the amount of data transmitted during times of inactivity in the scene. As soon as any motion is detected full-frame rate video is transmitted.